« Randy Travis Suffers Stoke While Hospitalized. Posted 11 Jul 2013 in Albums of 1970, Albums of the 70s, Eric Berman's "Song Of The Day"
Today’s Song Of The Day topped the charts in Australia, Austria, Belgium, Canada, France, Germany, Ireland, Italy, The Netherlands, Norway, South Africa, Switzerland and the U.K. upon its release in 1970, however it only climbed to the #3 position on the Billboard Singles Chart in the U.S. It is also one of the most-played and recognizable summer songs of all time, selling well over 30 million copies worldwide. Yet, most people know little to nothing about Mungo Jerry, the artist who recorded it in 1970. Mungo Jerry was a British good-time blues, skiffle and jug band that had an ever-changing lineup right from their inception with one constant member, Ray Dorset. The group’s signature song was an off-the-cuff concoction written by Dorset in twenty minutes while on break from work. The group’s original lineup (and the one on today’s Song Of The Day) included Ray Dorset on guitars and vocals, Colin Earl on piano, Mike Cole on stand-up bass and Paul King on banjo, kazoo and jug. The band took its name from T.S. Eliot’s Old Possum’s Book Of Practical Cats (the same book that inspired the musical Cats). 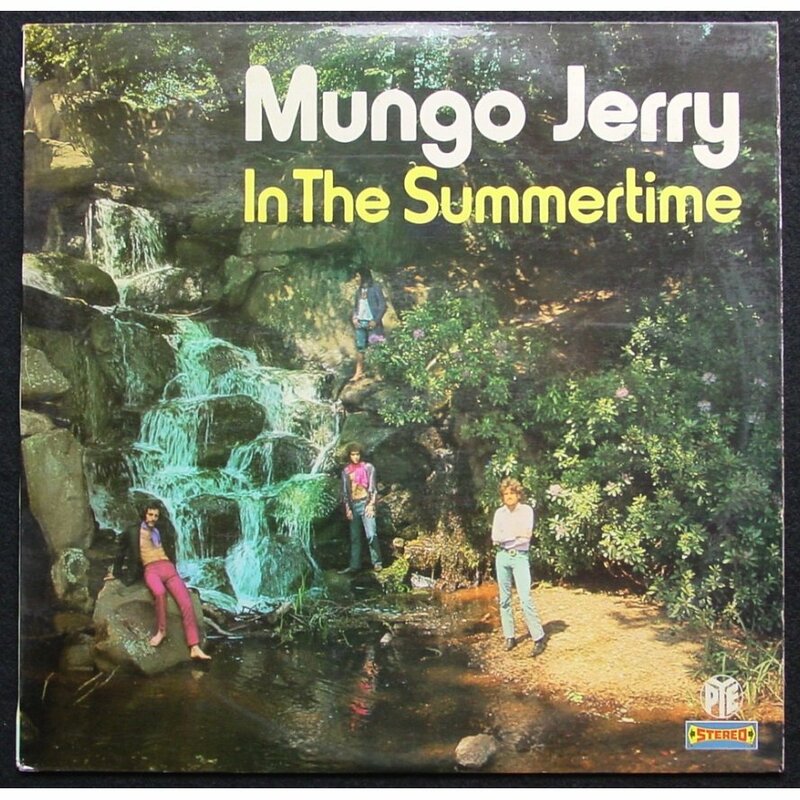 One portion of the work included poems about “Mungojerrie and Rumpleteazer,” hence the name Mungo Jerry. While considered a one-hit wonder in America, the band actually had a very successful run of hit singles in the U.K. well into the seventies including “In The Summertime” (#1/1970), “Baby Jump” (#1/1971), “Lady Rose” (#5/1970), “You Don’t Have To Be In The Army To Fight In The War” (#13/1971), “Alright, Alright, Alright” (#3/1973) and “Long Legged Woman Dressed In Black (#13/1974). Here are the other four songs Eric referenced. This is a playlist.